The fuel price, in the near future, has been the most important parameter deciding the market of Vehicles, especially cars. With the price of diesel approaching petrol, the permutation and combination of selecting between a petrol and diesel car is likely to change in the coming future. Price of diesel in Delhi is Rs 47.65/ltr and for petrol it is Rs 67.26/ltr. And this difference is expected to be bridged in the coming months. Diesel prices are still Rs 9 less than what would start giving the companies a profit, meaning the hikes will have to run for about a year-and-a-half in order to reflect market realities. The Increasing diesel prices have started showing colours. Hyundai recently has increased the price in the range of Rs 4,201 to Rs 20,878 across all models. Their January sales were reportedly 4.25 per cent more than in January 2012. Market leader Maruti Suzuki India said that the hike in diesel prices will not have much of an impact on the market. They are confident about the growing market of diesel market and have invested Rs 1,700 crore investment for diesel engine plant at Gurgaon. The plant will be operational in the year 2014 according to sources. The sales of Maruti’s diesel variants have shown no fluctuations after the price hike which suggests that there has been no impact of the price hike. Mahindra & Mahindra (M&M) beleives that demand for petrol passenger cars in the small and mid-range could increase following the development.”Mahindra has always been supportive of narrowing the gap between diesel and petrol fuel prices by another Rs 5 per litre. In our opinion such an increase in diesel price will have very little impact on UV and CV demand but may slightly shift demand to petrol in the passenger car segment in the small and mid-range,” said the spokesperson of Mahindra. Toyota’s Vice Chairman, Shekar Viswanathan said: "It is always better to have a realistic and market related pricing, and the earlier it is the better." It is clear that the automakers are in support of the price hike and have welcomed the move of diesel price hike. They are also confident that their diesel variants will continue to grow in the market. Diesel cars will be even more costlier as Diesel vehicle tax, as a compensation for the pollution added to the environment will be at around 25 per cent of the sale price of the car. The consumer buying behaviour has shifted a lot from petrol to diesel in the recent years. That is the reason why the automakers have stepped up their diesel car’s production. And the automakers are confident that their diesel variant will continue to do better. Resources from Maruti suggest that there has been a slight slump in the sales of diesel cars. The Indian customer is very price sensitive and will look into each domain before they make a decision. 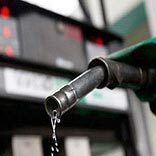 Fuel may be costlier but mileage remains the key. Overall, car owners may have a second thought about a diesel version, which are costlier. But if daily commute is over 60km, diesel certainly makes sense. Overall the fate of diesel cars will eventually be decided by the customer. How this Danish furniture brand is redefining furniture outlets?